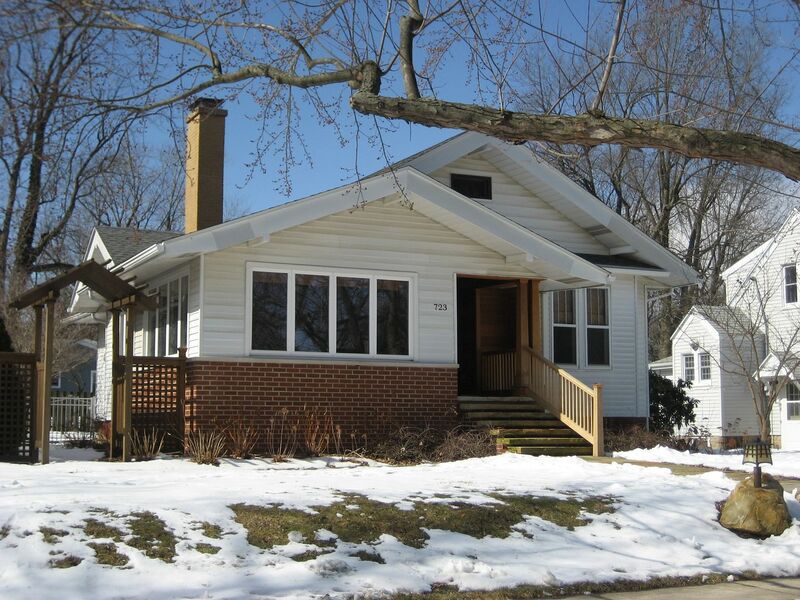 Home > Uncategorized	> A Fine Sears Home on a Champaign (Illinois) Budget! 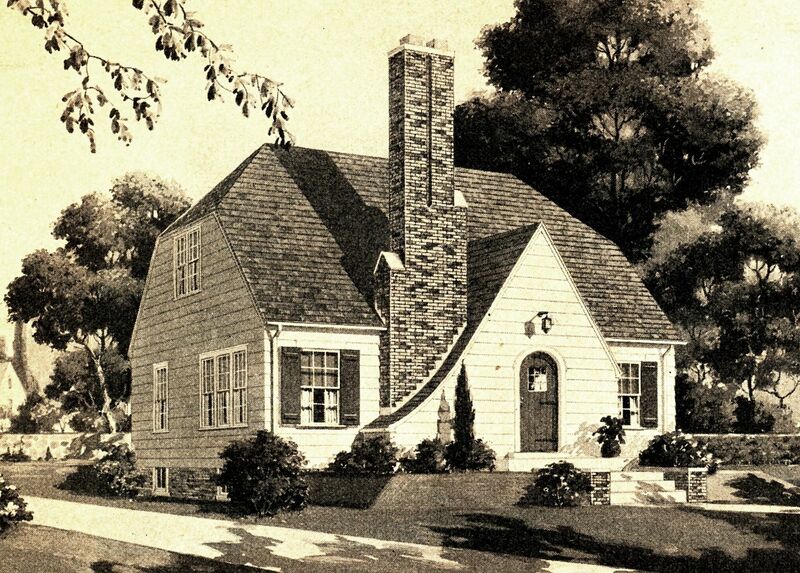 A Fine Sears Home on a Champaign (Illinois) Budget! 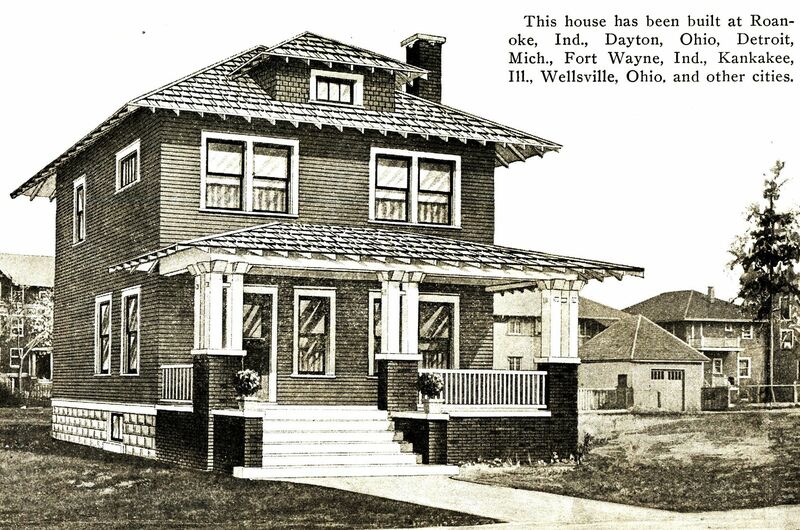 Several of these homes in Champaign were so beautiful and such perfect examples that they ended up in my newest book, The Sears Homes of Illinois. If you like the pictures, please leave a comment below! Most importantly, please share this link with others, and email it to all your Illinois friends! A perfect example of the Sears Dover in Champaign! 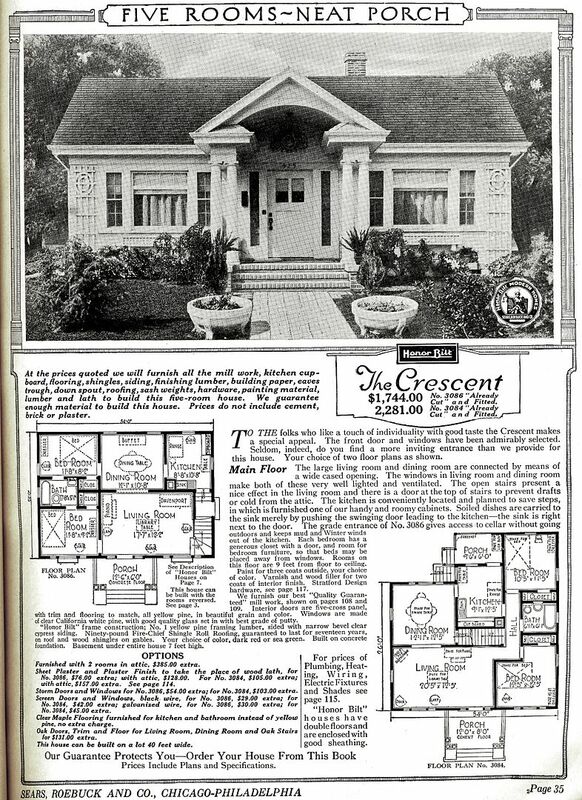 Another perfect Sears House in Champaign - the Crescent! Sears Attleboro, dressed in snow! 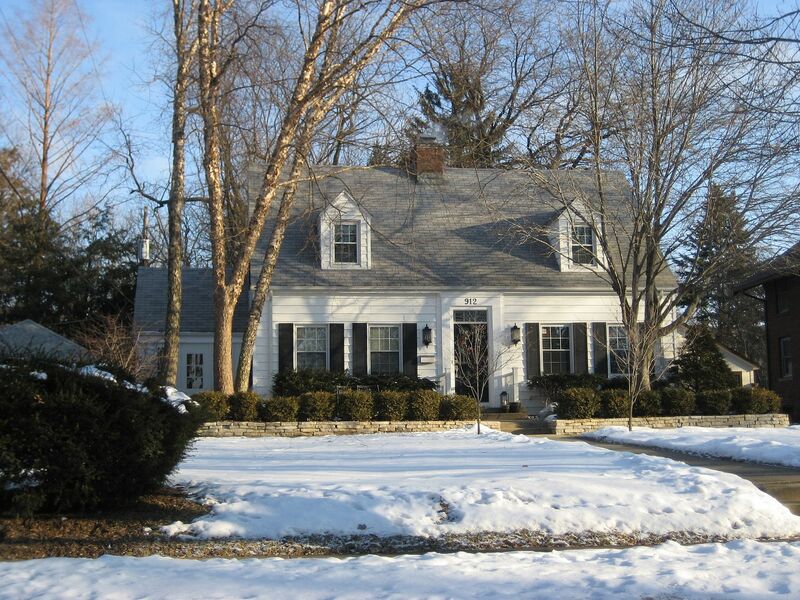 This Gladstone in Champaign is almost in perfect condition. Note the original columns, and that itty bitty window in the big dormer window. BTW, in Champaign, it's either in the middle of snowing, getting ready to snow, or just finished snowing. This photo is "B." One of my favorites is the Sears Strathmore! And here's a real beauty in Champaign! 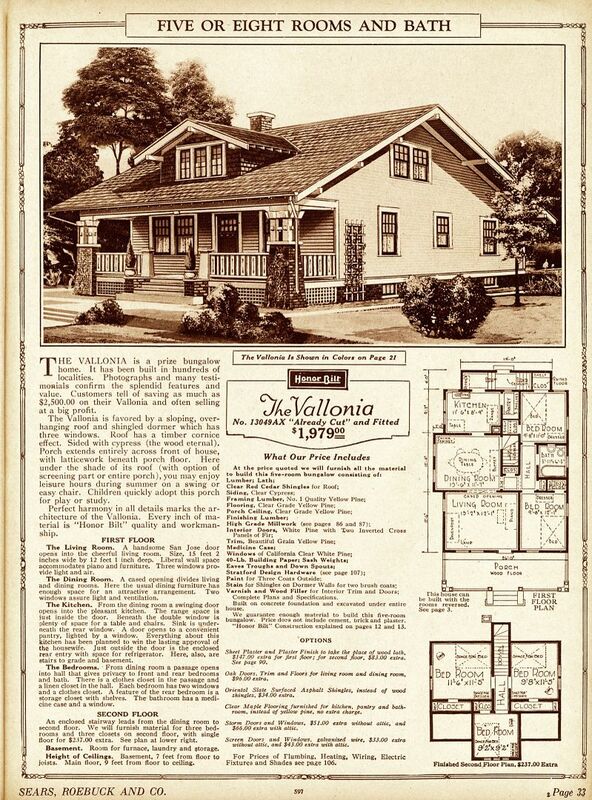 Sears Vallonia from the 1925 catalog. This was one of Sears most popular designs. This Sears Vallonia is in mostly original condition. The Sears Walton in Champaign has had some changes (vinyl siding, replacement windows and a closed-in porch), but it's still a Walton. And the creme de la creme, my #1 favorite, is this Sears Osborn in Sidney, Illinois. 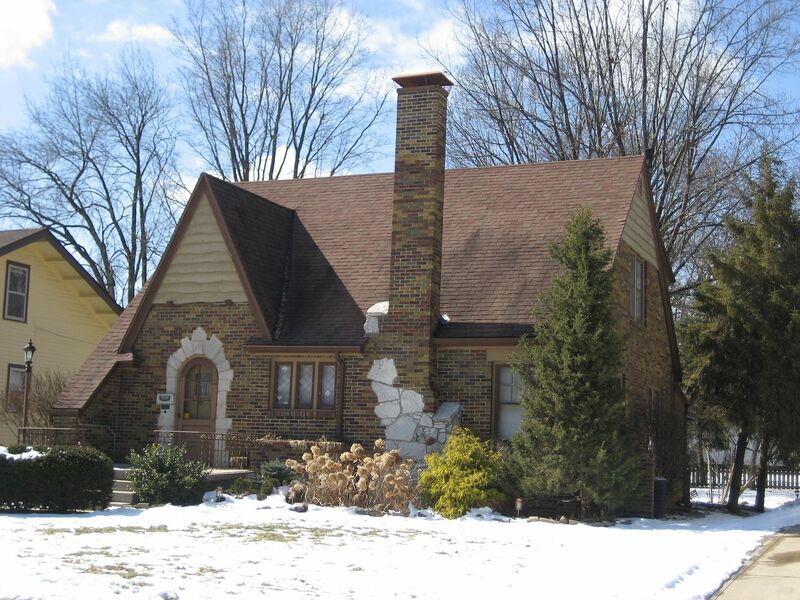 This house sits on a Centennial Farm (100 years in the same family), and was built in 1926 by Henry Mohr and his wife, Ethel. It's one of the finest Sears Homes I've ever had the pleasure to see. It's just a beauty in every way. 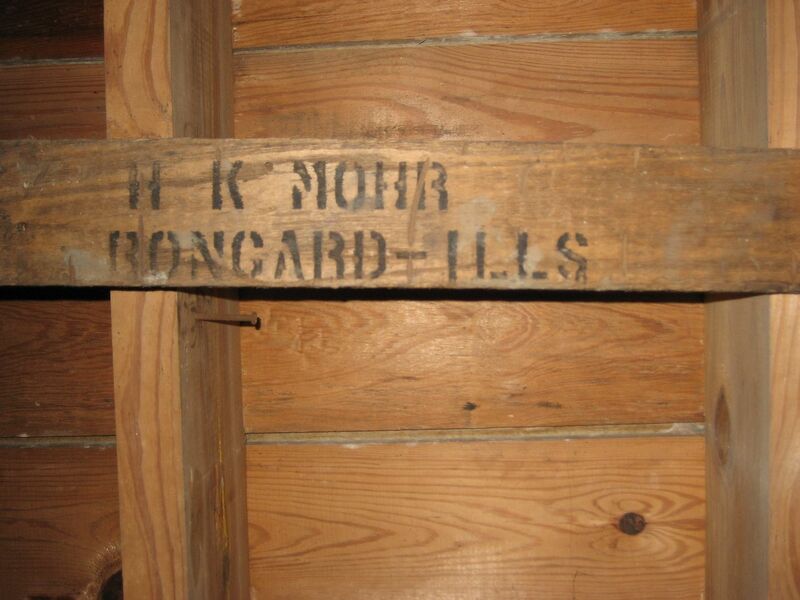 These houses were shipped in wooden crates, marked with the owner's name and destination (train station). The shipping crates were often salvaged and the wood was reused to build coal bins or basement shelving. Here's one such remnant found in the basement of the Osborn. 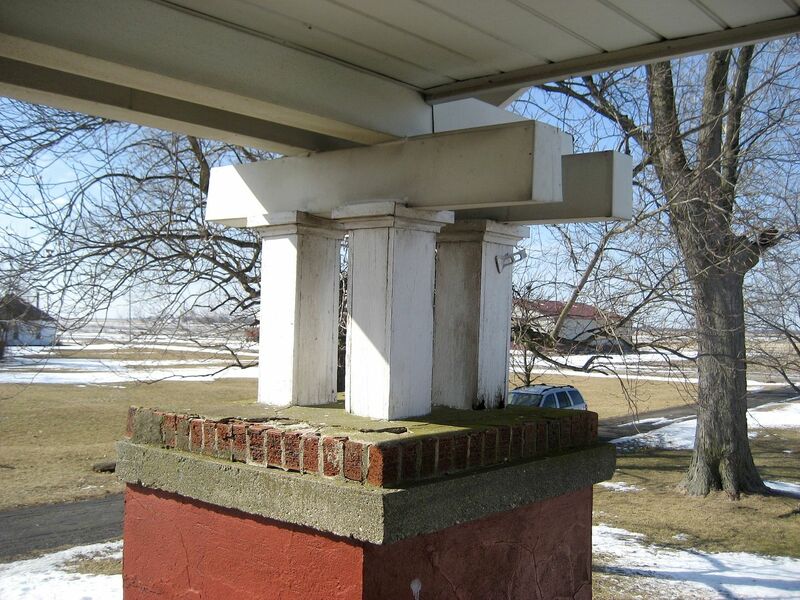 Close-up of the unique columns on the Mohr's Osborn. 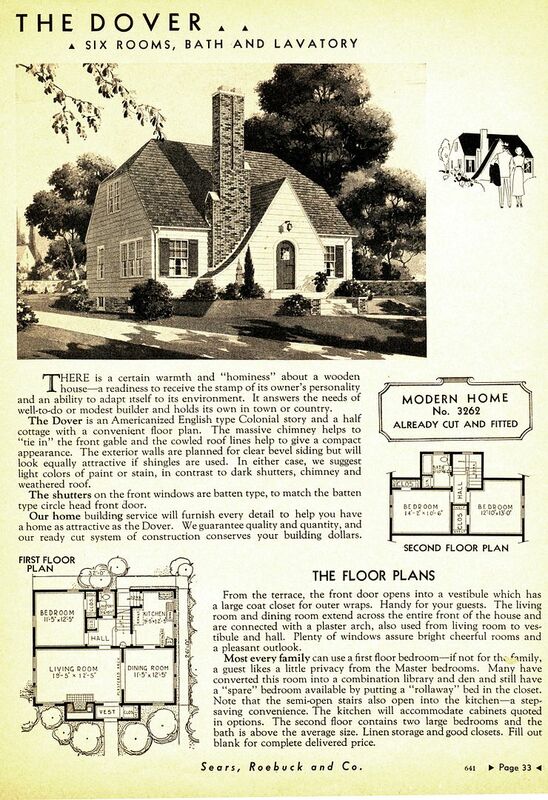 To learn more about the Sears Homes of Illinois, click here. To read another article at this site, click here. If you’ve enjoyed the photos, please forward this link to everyone on your email list! Or post it on your facebook page! 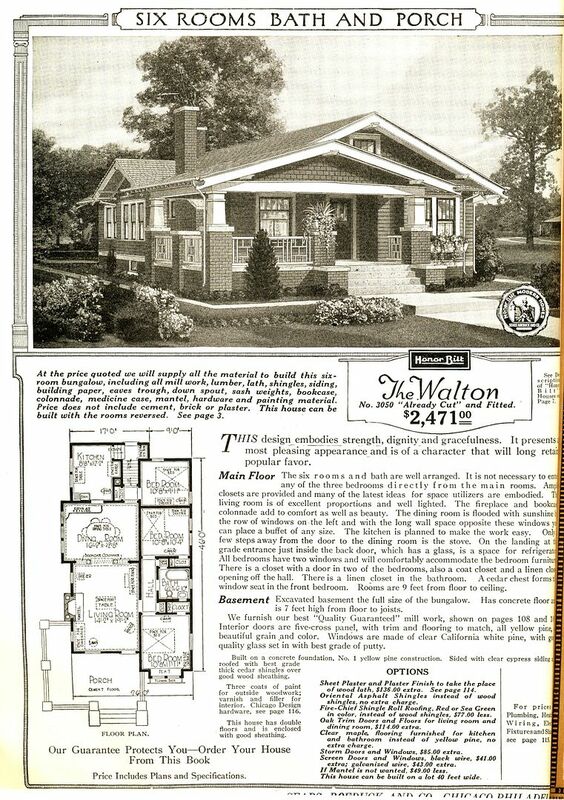 Here is a link to the Sears Walton that we have for sale. 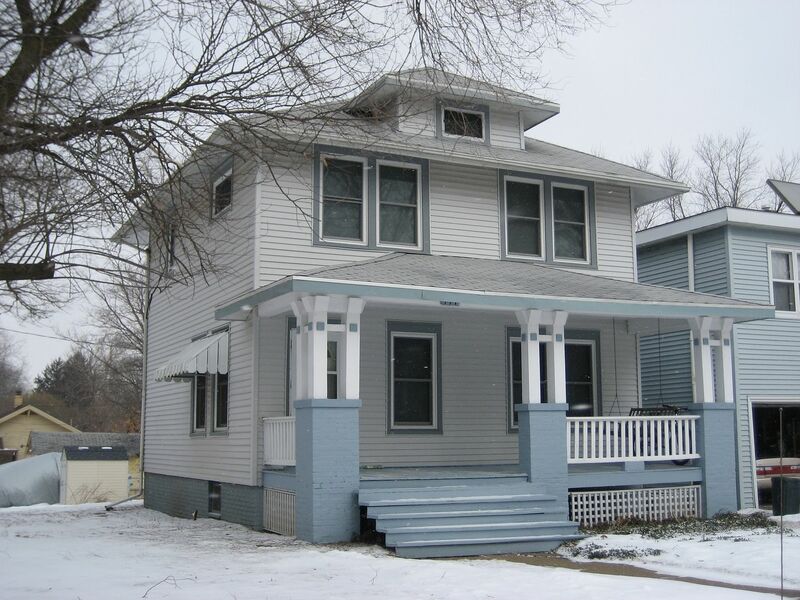 It too has had vinyl siding added, but the porch remains as the original. I’m happy to provide you with any information! 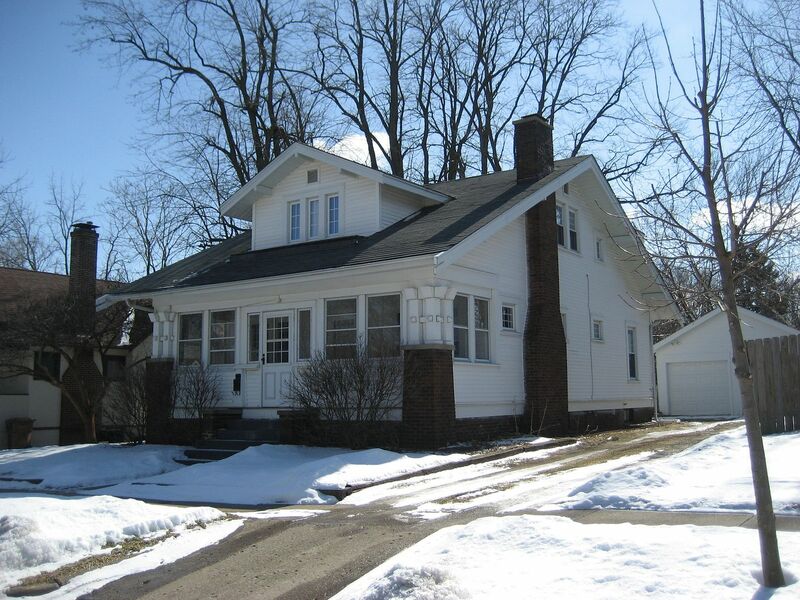 We would love to see it sold to someone who knows and loves Sears Homes. My father-in-law owns a really nice kit house that be bought from the original owners. He still has all the paperwork and blueprints, etc. Fascinating! 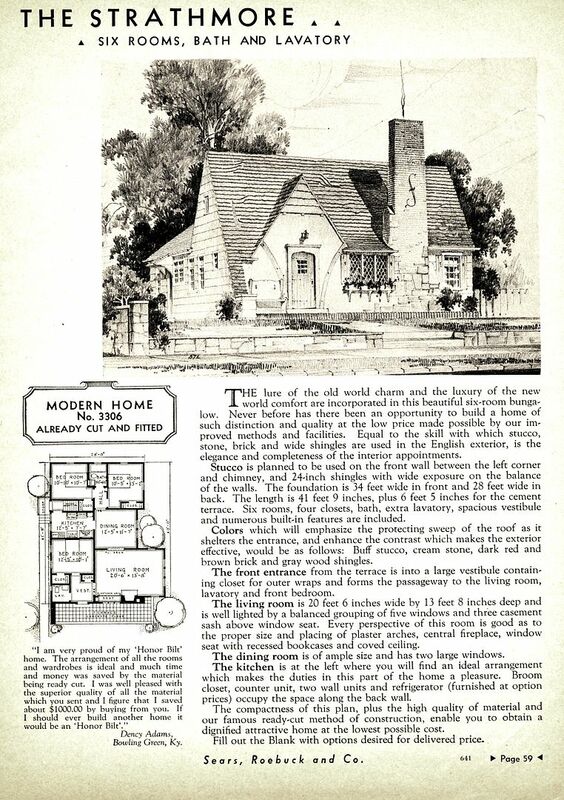 I do believe it is a Sears kit house. I can send you a photo if you’d tell me how and where! 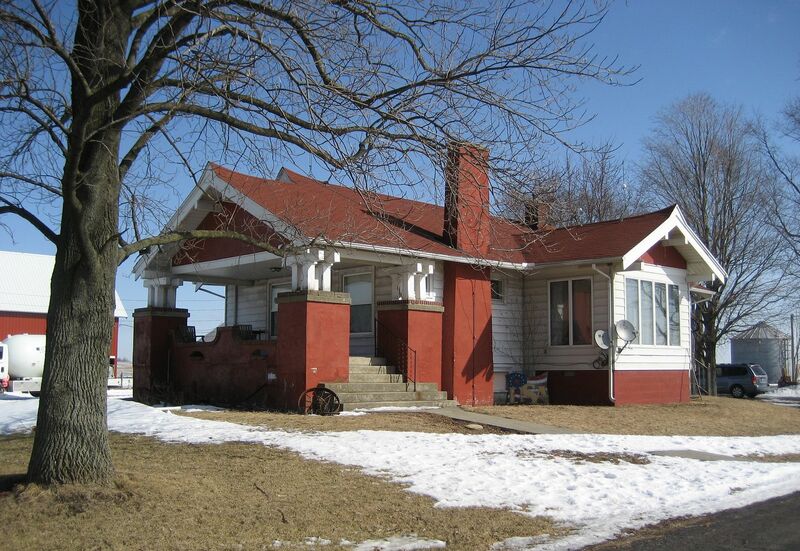 This house is located in the small town of Marble Hill (previously Lutesville until the two towns joined in the late 1980s), MO. These kit houses are so interesting and his even has such unique brickwork! 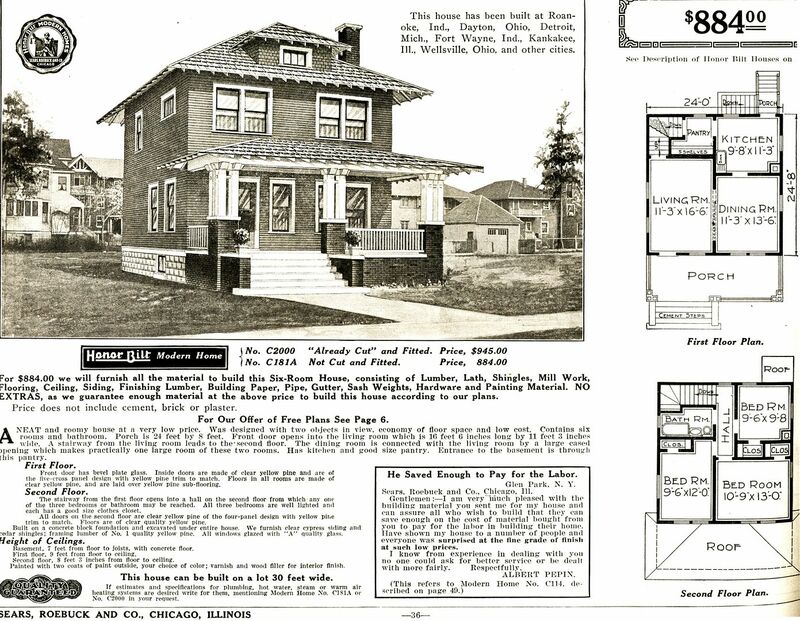 Thanks so much for the info regarding the Sears Homes in Champaign-Urbana. Now what I need from you are addresses. I have no idea where these homes are. Our committee continues to meet to decide which homes we would like to feature for our housewalk in October so we have time to look but need more info. 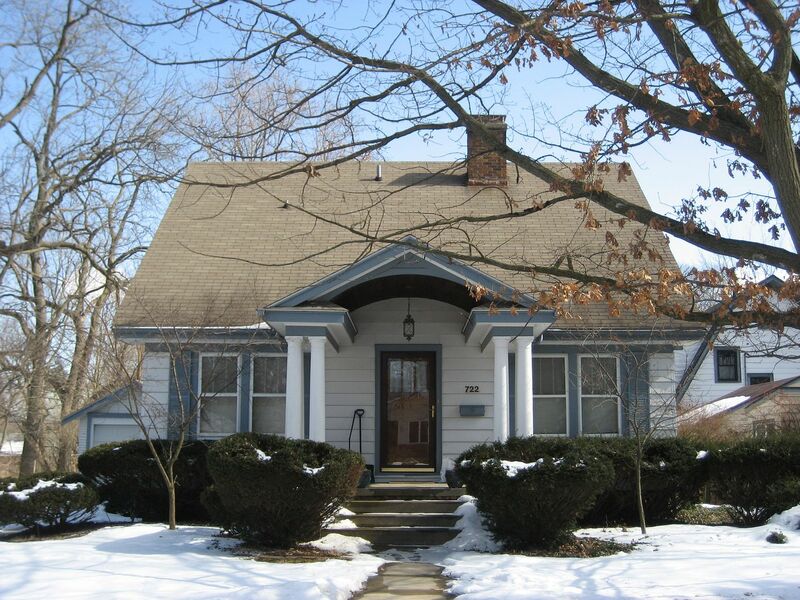 We will also need to meet with homeowners to discuss hosting several homes for our housewalk. I look forward to hearing from you soon! 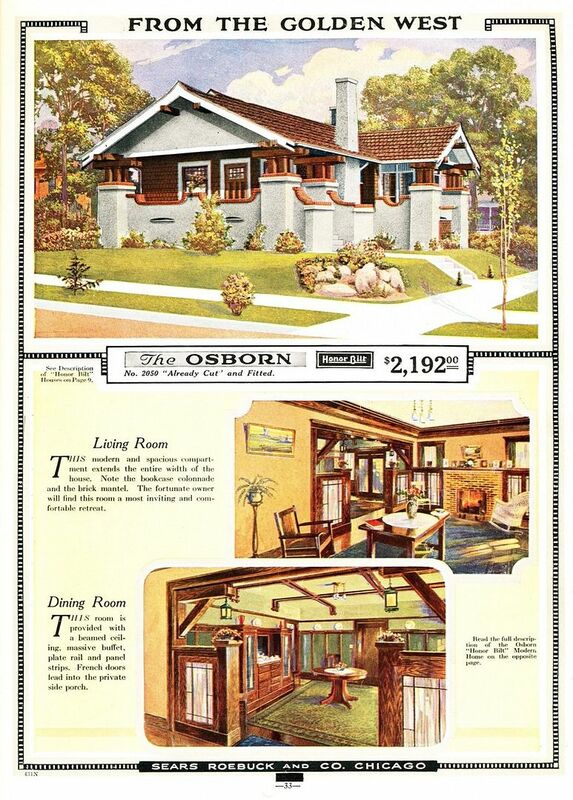 I found “The Sears Homes of Illinois” (Rosemary Thornton) at the bookstore yesterday and could not put it down. It was full of stories and information not to mention the great photos. I have seen many of these houses around town and never had a clue about when or how they were built. This book has really opened my eyes to the history that we all live with every day around town. 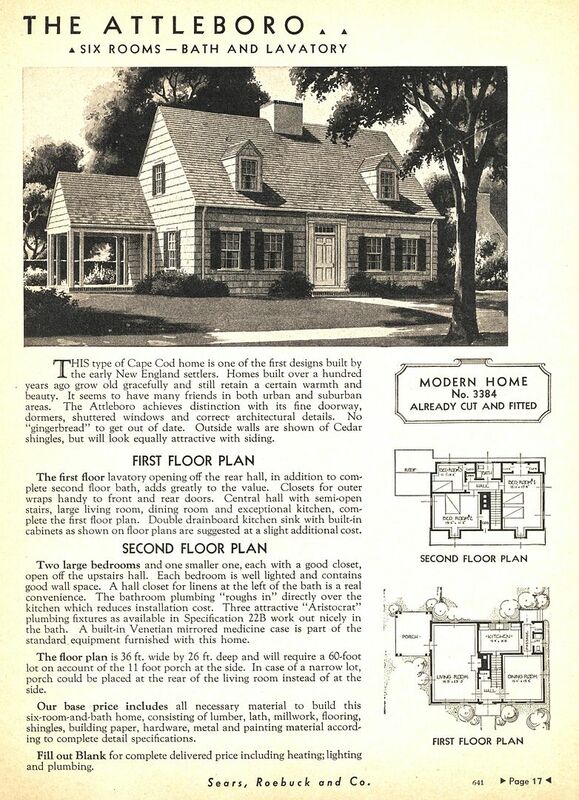 Of all the books I’ve written on Sears Homes, “The Sears Homes of Illinois” is one of my favorites! It has 250 color photos. Every now and then, I sit down and read it myself! I live in Champaign and many of these houses are in my neighborhood! I am totally intrigued. I am listening to a podcast about Sears homes on 99% Invisible. Ep. 323 - The House that Came in the Mail. I jumped online to see if I could find any info on Sears homes in my town, Champaign. 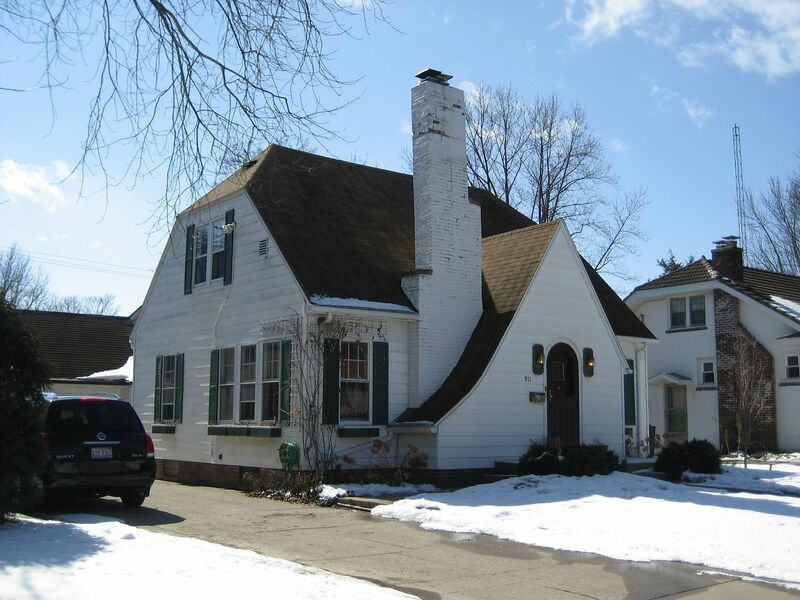 I enjoyed seeing the pictures on your website and recognize several of the homes. Thank you!